Prices start at just $499. Everchurch is a turn-key website, mobile app and social media solution for churches and ministries. 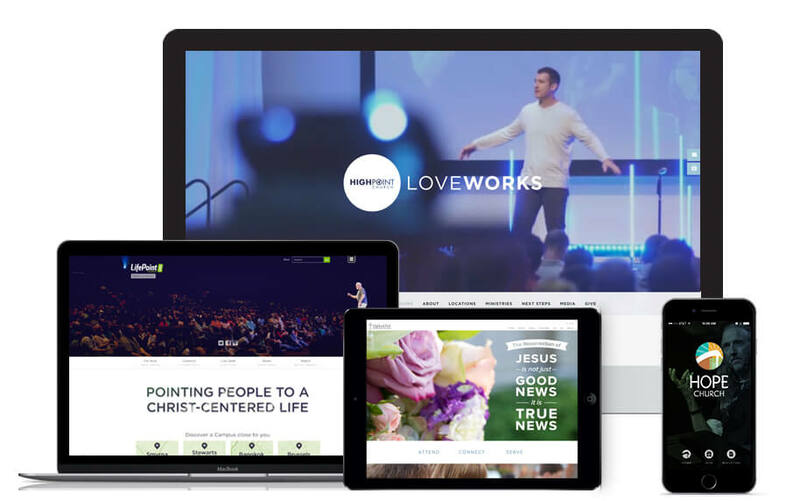 From mobile phones to desktop computers, a responsive website makes your church even more accessible to your audience. Plus with our library of themes, your complete online presence will look cohesive across all devices. 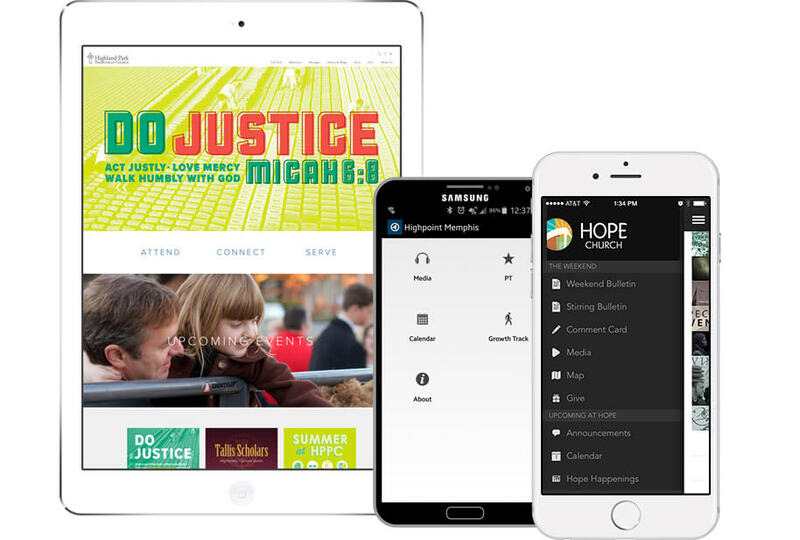 Your church can have a custom-branded mobile iPhone, iPad and Android app that brings your sermons, calendar and church campus to life for your members, no matter where they are. Your content is editable online and all in one place, so management is a breeze. With Everchurch's flexible interface, you can easily integrate your latest tweets, Instagram photos, Facebook page, YouTube and Vimeo videos and more. Your sermons can be easily accessed and shared, no matter what platform you load them to. Allow members to see your social side, engage and share your messages with their friends, too. Everchurch is completely integrated — many church app solutions are standalone. We offer design options — choose a theme or let the professionals design it for you. We offer fully managed, hosted, and supported websites and apps. Everchurch is easy to manage from a single dashboard. Everchurch covers all 3 of the major components of digital presence. We are trusted by leading churches all over the world. Whether your users seek out your audio and video on their desktop, tablet or through your mobile app, they will have an excellent experience. Everchurch offers some excellent options for videos; you can even use your videos from Vimeo or YouTube accounts! You’re able to create modules for specific topics from Sunday Sermons to Bible Study Courses - categorize them however you like! Remind your members of upcoming events, time changes, inclement weather and more. Reach your audience wherever they are, on a screen they’re checking often throughout the day. The events calendar displays beautifully on the web and in the app. It provides an excellent overview of what’s happening at your church with one-time or recurring events. Each event features a direct map and locations integration, along with seamless email and social sharing. App users also have the ability to add events directly to your device’s calendar.